Calling all education advocates, teachers, and parents! Learn about Arizona’s classroom crisis, connect the dots about exactly how we got here, and learn more about what you can do to get involved. 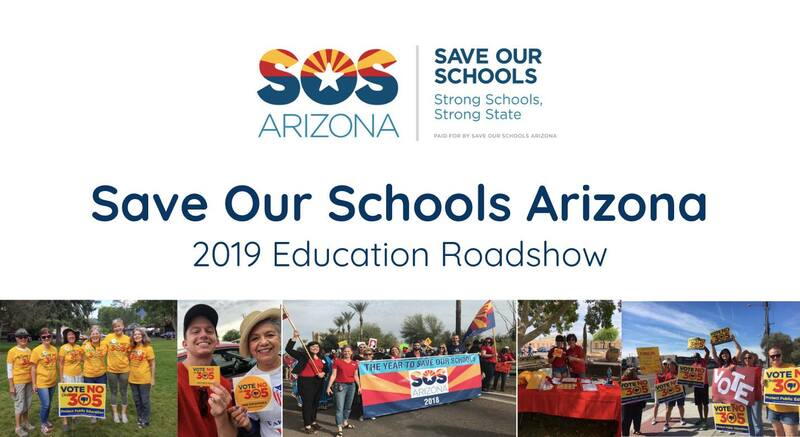 Please attend our informative, fact-based, non-partisan presentation to learn SO much more, get answers to questions about school funding and privatization, and meet fellow education advocates who want to #SaveOurSchools2019!